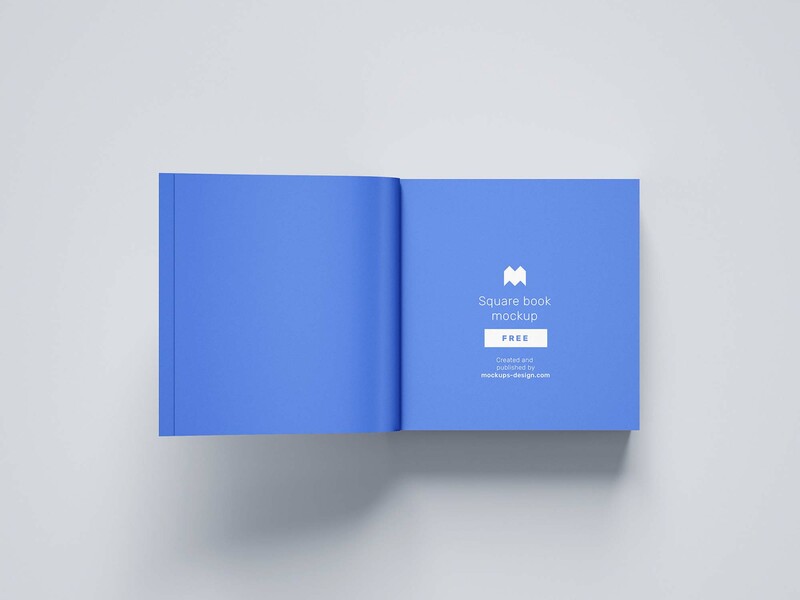 This next mockup can be used in more ways than you can imagine. 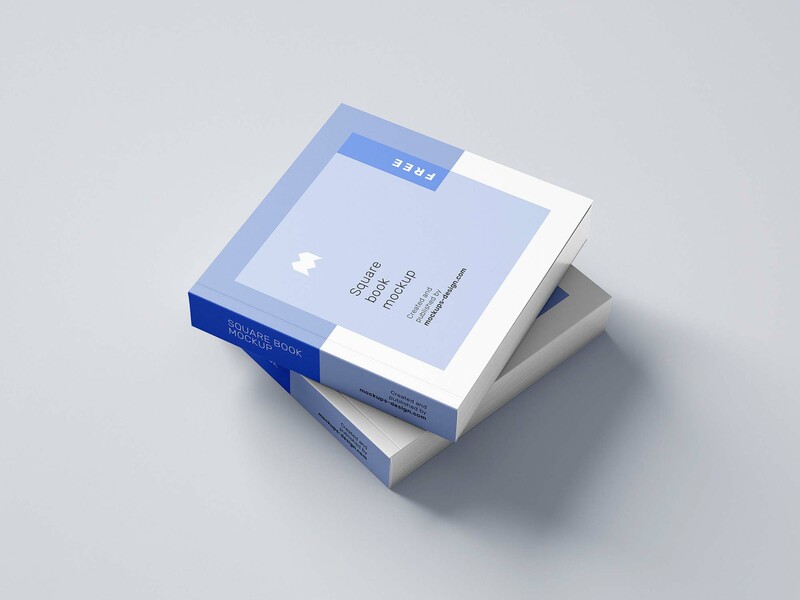 This is the free square book mockup provided by Mockups design. 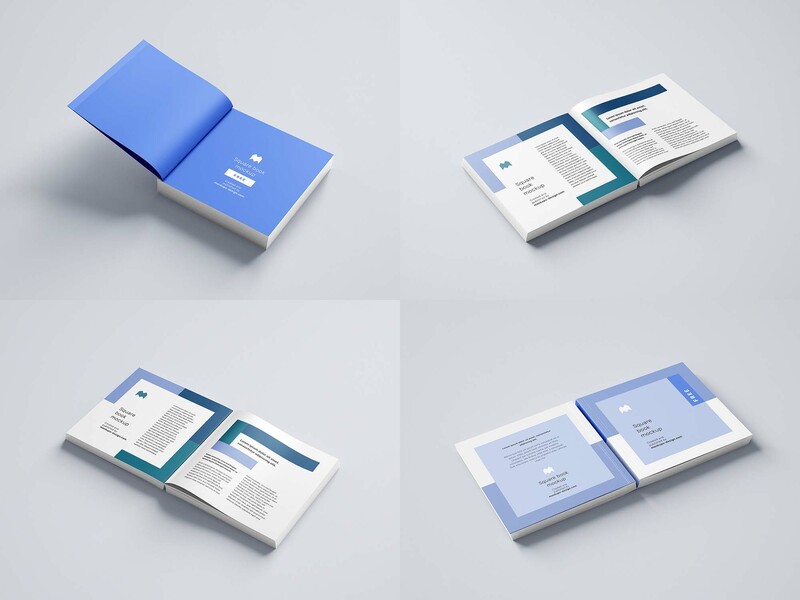 This special resource gives you access to a variety of mockups that showcase a softcover square book in 11 different angles which allows you to clearly present your ideas to your viewers. You have 2 shots from a ¾ view that show one book, 2 shots with 2 books on top of each other- one from a ¾ angle and one from a top view, and then 7 wonderful ones with variations of an open book so that you get the chance to display the smallest details of your project. 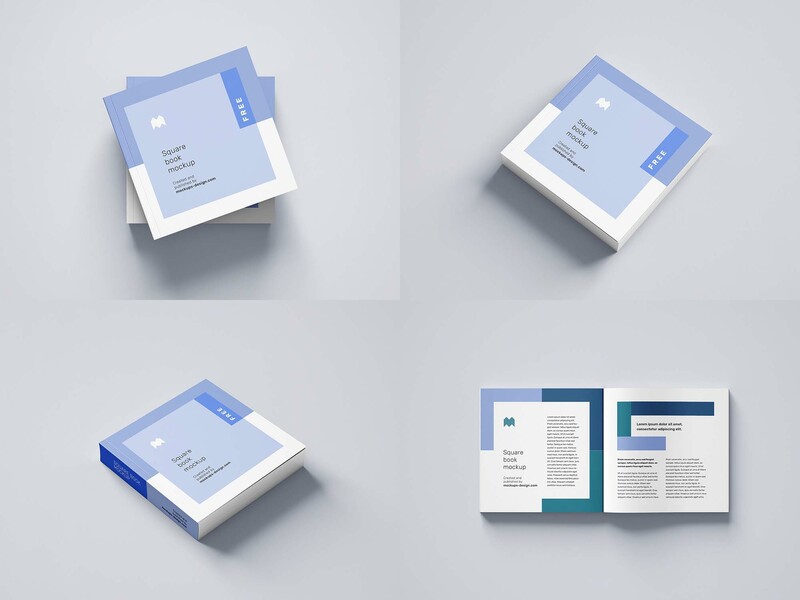 All of these PSD mockups are in high resolution and can be easily downloaded, used and edited so the customization would be the fun part of the job.